We saw a unit blipping away at Frankfurt’s Messe trade show earlier this year, but now Mode Machines have posted a new preview and promise units soon. The preview also reveals more of how this unit works, including per-note modulation and sequencing features. Earlier this year, we saw a Mac/Windows/Linux editor; now, it seems they’re adding an iPad editor to that. It’s an intriguing concept, though details are scant on how it works – for now, it appears to just have a simple MIDI keyboard and ribbon controller, so you might be better off with your favorite MIDI sequencer or controller app and the onboard knobs. And no, I don’t know what’s with the creepy segment at the beginning. 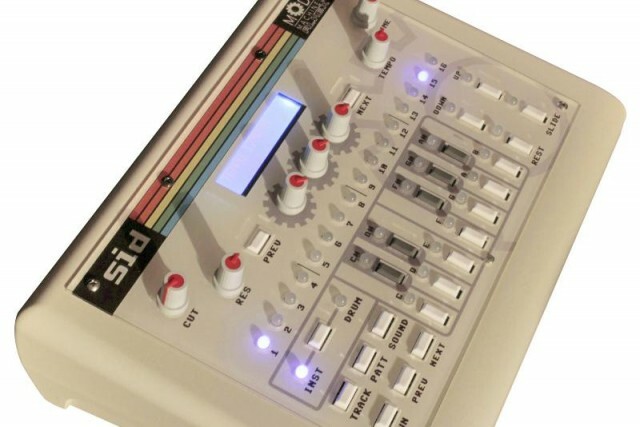 But let’s get back to the original idea: it’s a SID and a 303-style sequencer. It looks like a hell of a lot of fun. And in a feature touted earlier this year, there’s a “NERD-PANEL” mode that lets you hack sounds on a pin-by-pin basis. Audio in, out; MIDI in, out. USB connectivity for MIDI control, too. Street expected around 600 – Euros and USD, I believe. I’m hoping for a lot more details. Also, you’ll notice a “junior” groovebox that appears to be just the display and three expression knobs, minus the x0x step sequencer. Stay tuned.